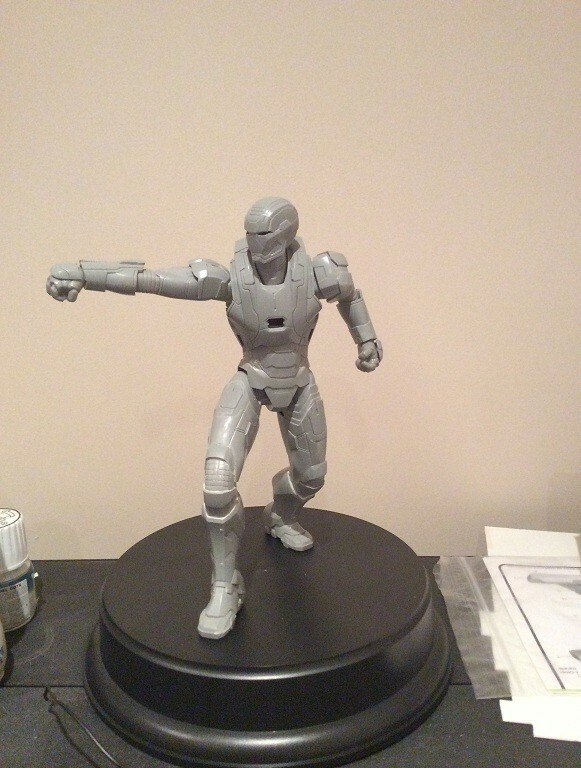 Assembly is now complete and it’s ready for primer and paint. Decided to get back to this model while taking a short break from decaling the Pegasus as it was driving me slightly mad. One thing is that the instructions are really tiny and quite vague so actually took longer than I anticipated because everything has to be cut out and fitted together to make sure nothing is back to front. 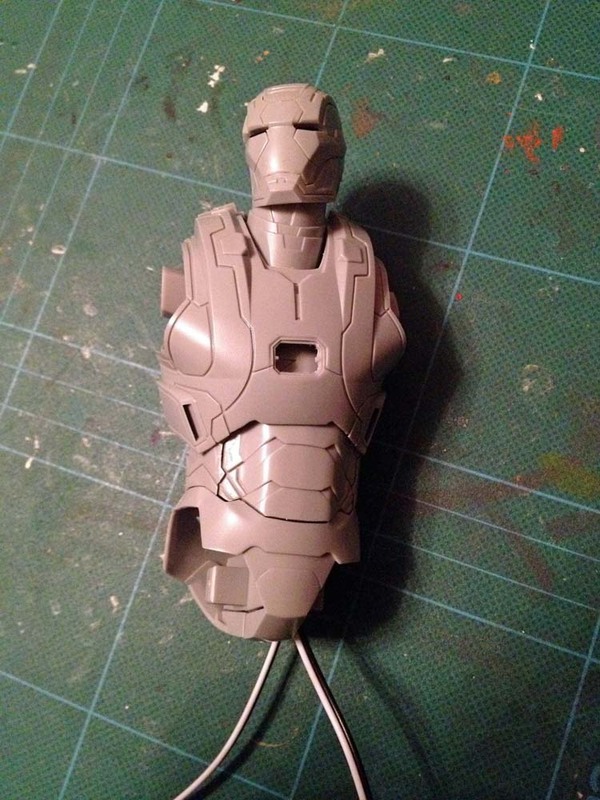 Really could do with clearer instructions with the number of parts on these kits. 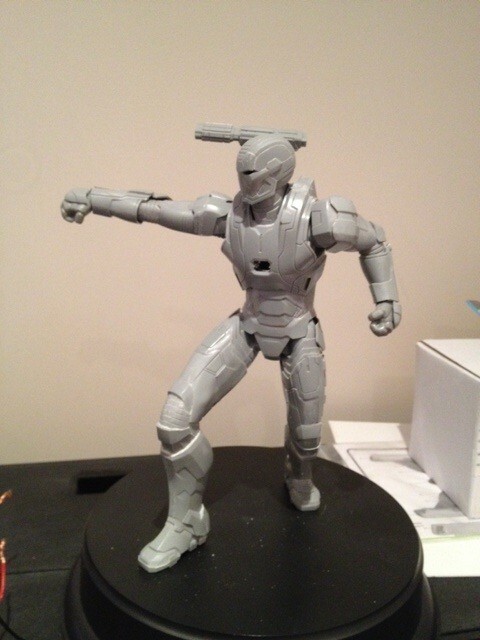 Made a start on the first of the 3 Iron Man kits, and picked War Machine simply because the paint job is going to be a bit simpler and there are only 2 lights in it because both hands are in fists. Pretty simple job so far. Lights went in no trouble (2 3mm white LEDs) although little bit of leakage around the neck area which will need to be sorted out. These first couple of shots are after about an hour. 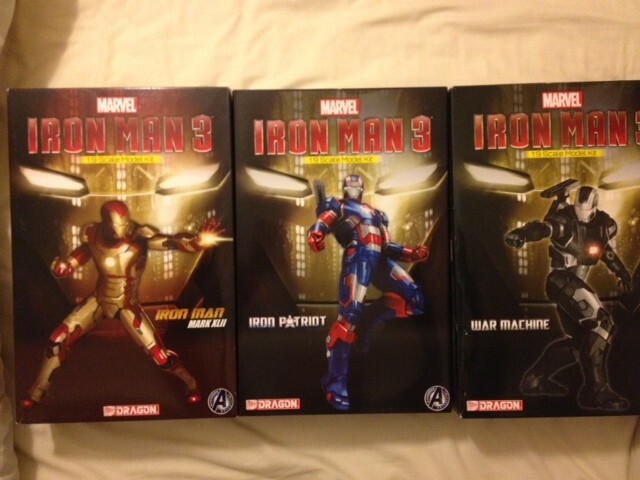 Well, got a little parcel through yesterday with 3 new Iron Man kits, or should that be Iron Men.